100 Midtown Has Some Of The Most-Wanted College Student Apartments In Atlanta! Modern apartments combined with unique amenities make 100 Midtown the premier college student apartments in Atlanta. With a choice of 2- or 4-bedroom floor plans, you’re sure to find a home that’s just right for you. Each spacious floor plan has an full kitchen and open living and dining areas, giving you and your roommates plenty of room to eat and relax. Plus, every apartment has a washer and dryer, so you’ll never have to make a trip to the laundromat as long as you live here. And that’s not the only way we save you money! Our apartments come with sleek leather furniture and free high speed Internet, and you don’t pay extra for cable, electric, gas, or water— they’re included in the cost of your rent! 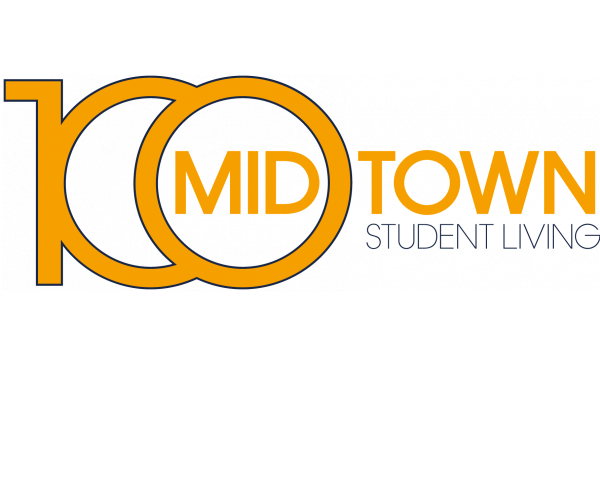 As a top provider of college student apartments in Atlanta, it’s important that 100 Midtown has a quiet place where you can do schoolwork. That’s why we put multiple study rooms and a 24-hour computer lab with Macs, PCs, engineering software, the Adobe Creative Suite, and free printing just steps from your door. 100 Midtown is only minutes from great dining, shopping and entertainment, but the variety of amenities on site might make it hard to leave home. We have a video gaming room, a movie theater with an HD projector and a DVD Blu-ray player, a 24-hour fitness center that makes pricey gym memberships totally unnecessary, and much more! Now that you know a little more about what 100 Midtown has to offer, take a look at our photo gallery and floor plans. Then schedule an appointment with our leasing team— but don’t wait. We have some of the most popular college student apartments in Atlanta, so they fill up fast, and you don’t want to miss out on this unbeatable living experience. Contact us today!